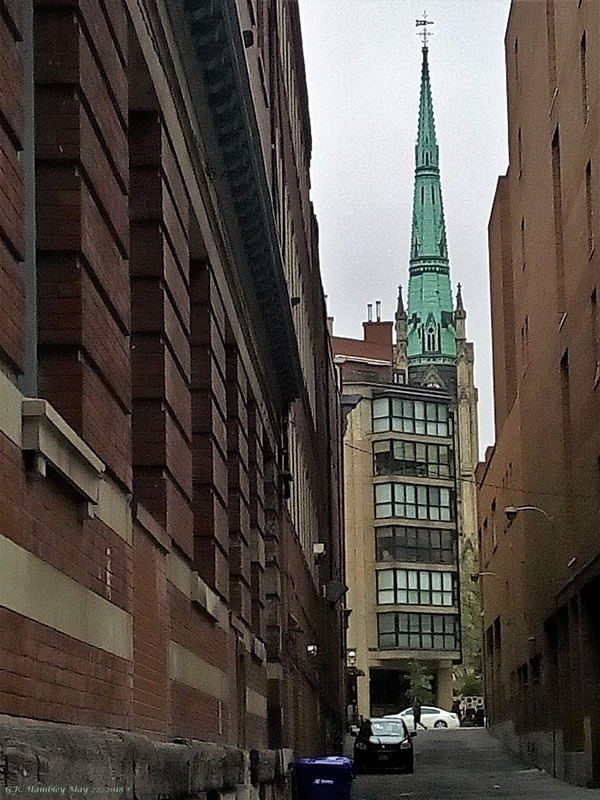 The Spire of St. James Cathedral here in Toronto. I love walking around my city. Got a couple other things in the works too. I am standing on, “The Esplanade” looking north. The white automobile you see is on “Front Street. Those are condos in front of the Spire.